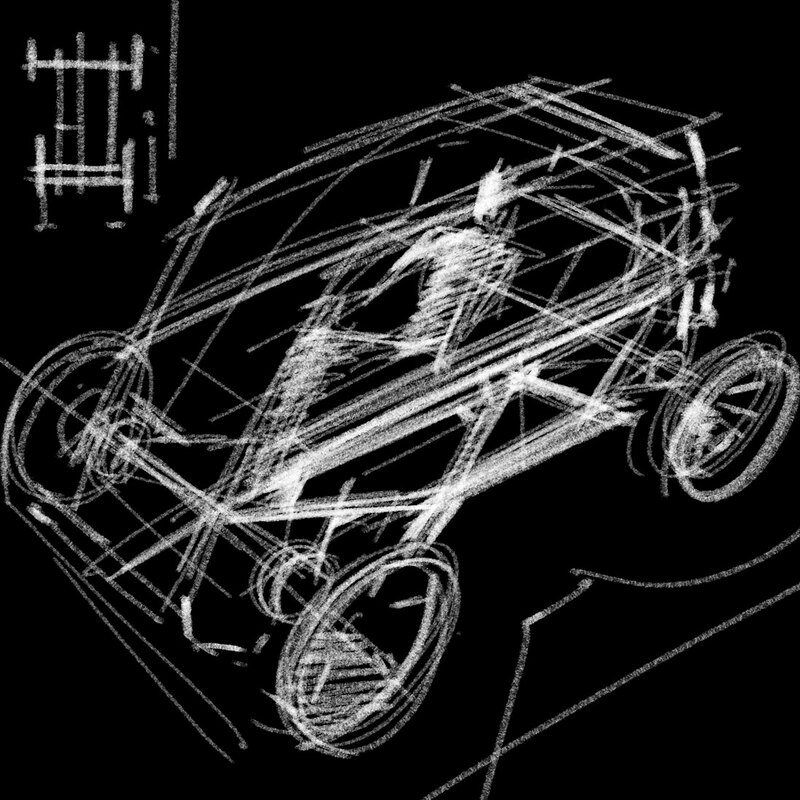 For the automotive industry sector, Resolut Design facilitates, designs, accompanies and visualizes innovations in the early stage of projects. The major questions of external supervision, customer liaison, attendance and support are: How does the constantly changing modern man influence and transform the material and innovation method of the production, distribution and application of the product? What innovation potentials can be recognized? The services include: motivational lectures and presentations, workshop moderation, ideas development, live sketching, projects and studies support, and visualization of technological applications. The workshop supervision of concept, technique and design problems relevant to the automotive industry is a crucial part of the service. Ideas and concepts proposed by participants will be brainstormed and, consequently, concretised with the use of special interviewing techniques. Active questioning, consultations and the practical deployment of ideas result in an interdisciplinary nexus of relevant problem solutions. Already available and arising ideas, concepts and images will be immediately visualised using a live sketching technique. Moderation, brainstorming and live sketching represent independent services, yet they can become major causative factors in a far-reaching cooperation. Customers, being experts in their own fields, do not expect further explanation of their world, but are eager to discover new horizons.